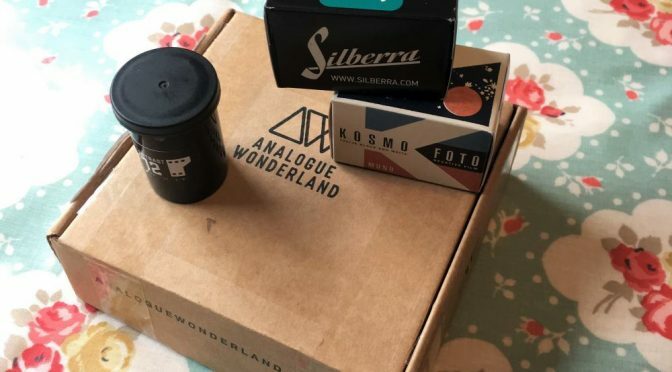 The Folks behind Silberra have been providing chemicals for analogue photography for over a decade. In 2017 following a successful Indiegogo campaign they launched a series of panchromatic B&W films that were well received for their classic looks. The Ultima is a continuation of that model but using a thinner base material in theory better for scanning. I’m a big fan of the Kosmo Foto blog and Stephen last year launched this film (2017 was the year of the blog film it appears – sadly no Canny Camera Chrome mind !!). Made by a biggish manufacturer for Stephen (there’s some debate as to whom that might be). It too is Panchromatic B&W film. More grain than the Silberra from what reviews I’ve read but with great contrast. I’ve already shot the Silberra and Kosmo Foto so we should have the results back soon. Thanks to Analogue Wonderland for the chance to try these out ! Previous PostTHE READING ROOM – NEWS & THINGS YOU MIGHT HAVE MISSED (WEEK 7: 7th – 13TH SEPT)Next PostNikon Budget Face off – Does the F75 make the F55 pointless ?